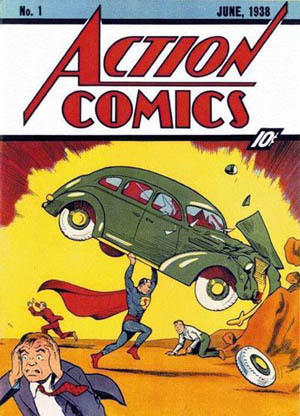 Any serious Comic Book collector can tell you that the world's most expensive Comic Book in the world is DC's Action Comics #1 (1938)...written by Jerry Siegal and illustraded by Joe Schuster, this comic book contained the first 12 page glimpse of iconic superhero "Superman"...!! A copy of that first edition sold last year by ComicConnect.com for 1.5 Million dollars..! !